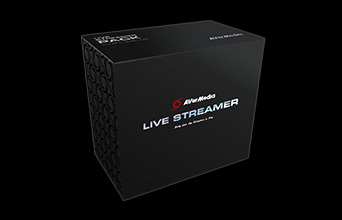 ● How to setup microphone in RECentral to record commentary? If you would like to record the live commentary with LGP, please refer the following steps. Connect one Microphone to your PC, USB type or 3.5mm type in your Microphone In of sound card (red color circle in general) are both supported. 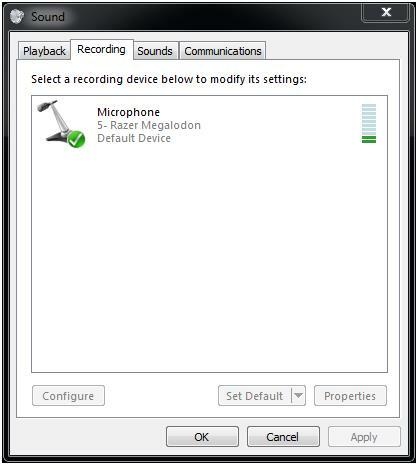 Confirm this Microphone is Default device of your Recording device. 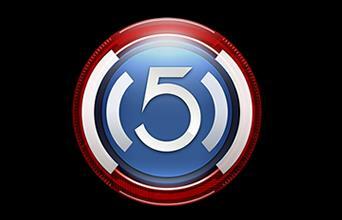 Open RECentral and go to <Audio Source> Page. Tick this checkbox to enable the Microphone. You can check the audio wave form from the right pane and drag the slider below to adjust the volume. 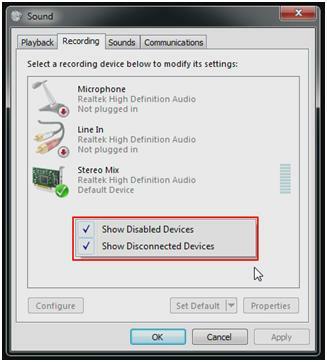 (2) combine the audio to recorded gameplay file together directly by disable this checkbox. Please refer the <Video Settings> page. (1) Always On: Auto record your voice from microphone when using hotkey for video capture. (2) Control with Hotkeys: Press once the pre-set hokey to record your voice simultaneously with video capture, and press again to stop. (3) Push to Talk: Keep pressing the pre-set hokey to record your voice simultaneously with video capture and simply release the key to stop. 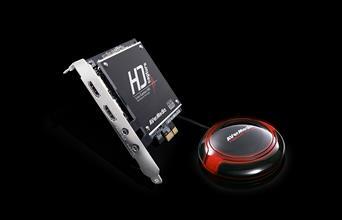 ● How to setup Current PC recording with HDMI and Audio input? 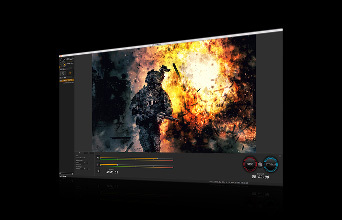 If you would like to use LGP to record the PC games under the same PC platform you're operating (Current PC), there are two common user scenarios that you may likely to face; in this post, we're trying to illustrate how to set up the correct environment to perform recording with clear steps. 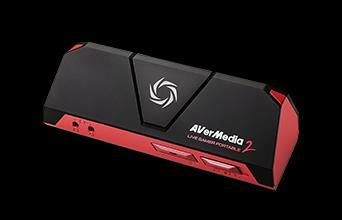 I have a monitor that has an HDMI port and I would like to record pc gameplay video & audio via HDMI. 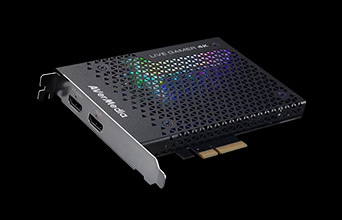 Audio: HDMI output and/or 3.5mm audio out (this means you can hear the game audio via 3.5mm Audio Out from LGP simultaneously for checking the recording progress). 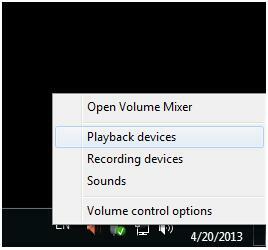 Go to System Tray, right-click the Sound icon, and click Playback devices. 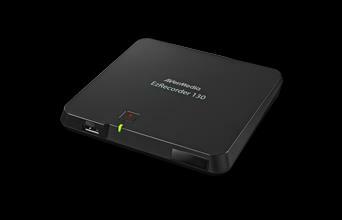 You might use a monitor that has NO HDMI port, and you'd like to record the PC game's video & audio successfully. 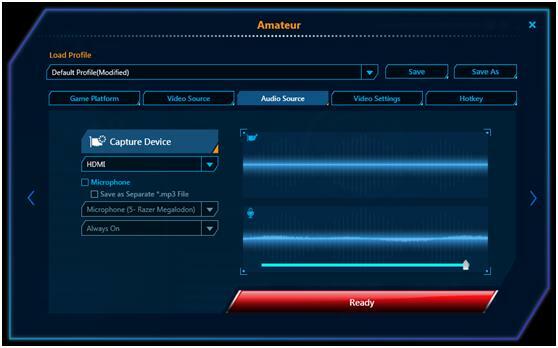 Select <Capture Device> as Audio In in Audio Source page. 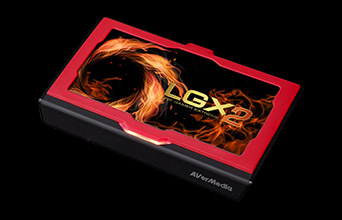 ● How to make SDXC card support LGP PC-Free mode? 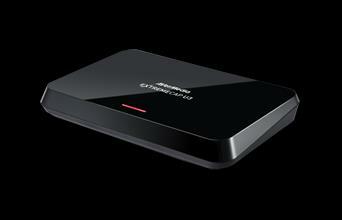 LGP supports FAT32 (which is most popular format for SD card storage device) format only in PC-Free mode. 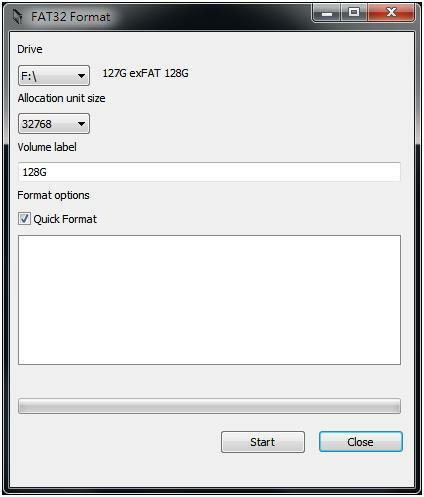 When you use SDXC-type SD card; however, the default format of it will be exFAT and the system utility from Windows cannot re-format it to FAT32 format. 1. 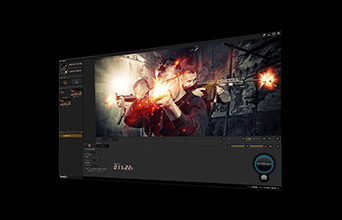 Download guiformat from here. 2. 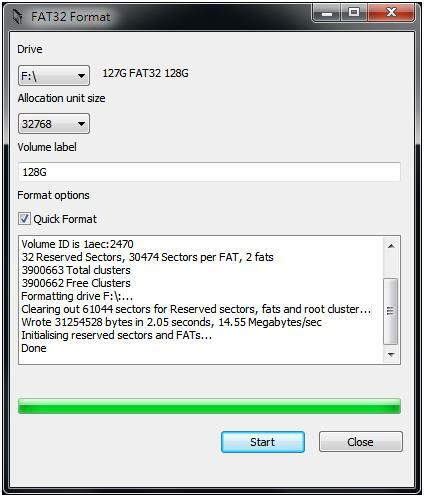 Select the drive location of the SD Card and set Allocation unit size over 32K (32768). 4. 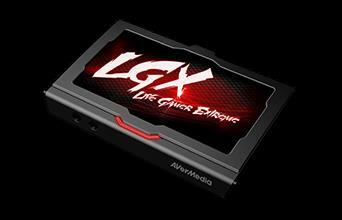 Finish the process and your SD card can now support LGP PC-Free recording. Please use this quick patch underneath when you're encountering this issue before the next official version releasing. 1. Download Patch RECentral by clicking this Link. 4. Replace the original RECentral.exe And you're good to go. You get your voice recorded correctly only via ticking 'separated .mp3 file', and you get no voice if you chose to merge the game sound and the commentary into one, even though you can see the wave in the Audio tab of Amateur setup. 1. Download & unzip this attachment to get the C875Graph.dll. 3. Close RECentral if it is still running or standby. 4. Replace the original .dll file with the new C875Graph.dll (you may backup the original one). 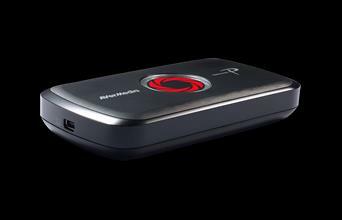 'On start-up it boots up to the solid red color, and I can press the hot button to begin recording which starts the red 'breathing' LED lights. Am I doing something wrong or some firmware issue/defective unit? 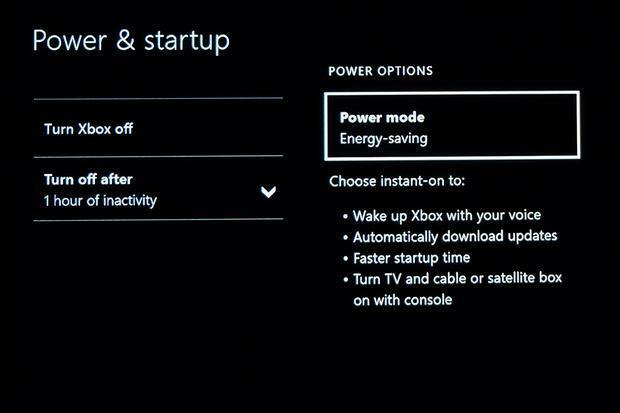 It keeps rotating the light quickly in PC-Free mode is because of Wii U's power supply. 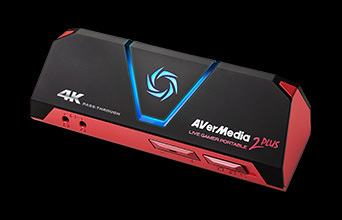 We have found that some Wii U (certain versions of its firmware) are not capable enough for powering sufficient/stable current to operate LGP correctly, so we recommend you to use the included USB2.0 cable & insert your LGP into another stable power supply (e.g. 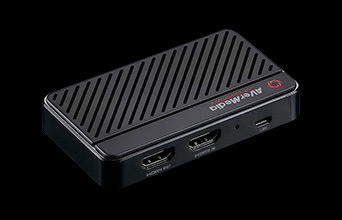 portable power supply, PC, or your laptop) to keep LGP from potential malfunction. 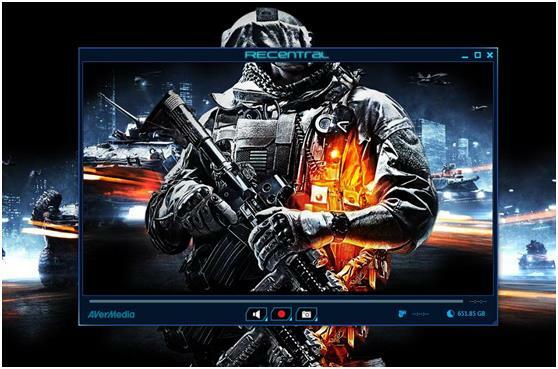 In some cases, when you connect PS3 with LGP via component input and startup RECentral for the first time, you may see a blank screen with ? ?ut of Range?? or ? ?o Signal? ?message displayed in RECentral preview screen. Closing down RECentral, then restarting RECentral again will solve this issue for good. 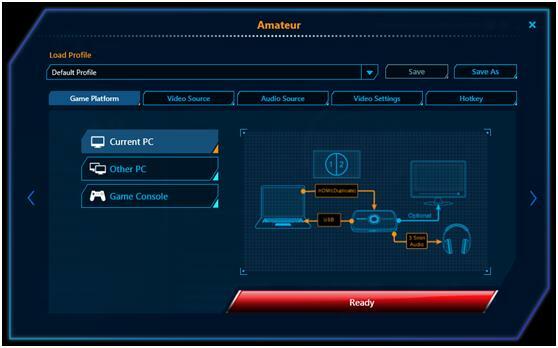 *please note that you have to set the soundcard's speaker as default for Stereo Mix, do not use your graphics card's HDMI audio (your soundcard's stereo mix will get no audio). Step 3. 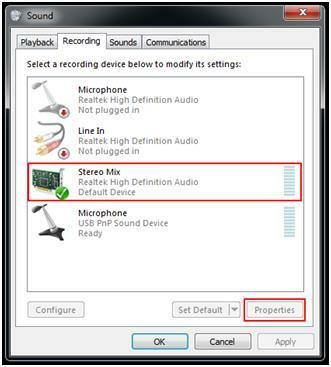 Change your tab to Recording, then set your Stereo Mix as default device, and click the Stereo Mix's Properties. ** If you don?? have the ? ?tereo Mix? ?in your tabs, please make sure you have installed all the drivers for your soundcard (motherboard), or you can right-click to tick the ? 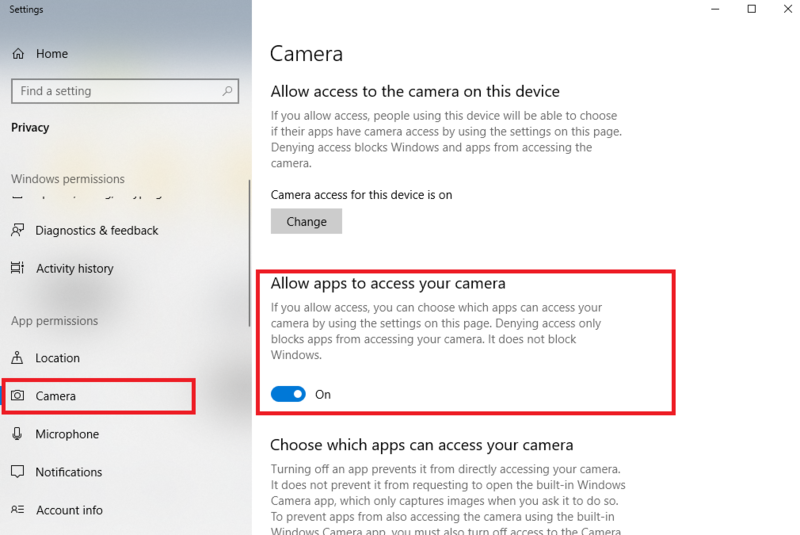 ?how disable devices??& ? ?how disconnected devices?? Step 4. Change the tab to Listen in properties, and enable the ? ?isten to this device', then select the ? ?layback through this device? 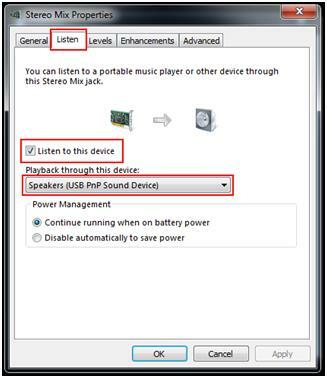 ?to your USB audio device, click OK.
After finishing the above steps, you should be able to hear your audio from soundcard and usb devices. 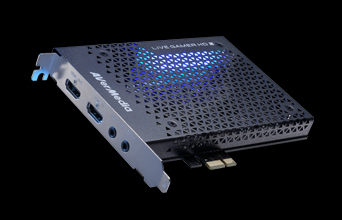 a. Connect your soundcard to LGP with 3.5mm audio cable. b. 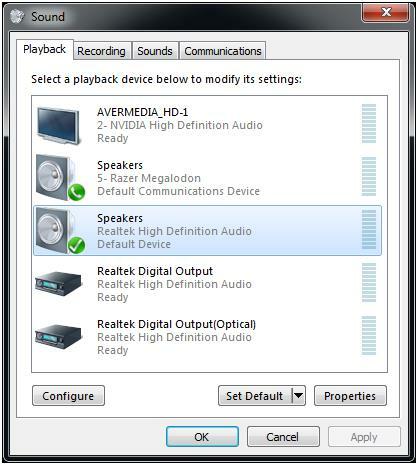 Select 'Audio In' for your audio source in RECentral. 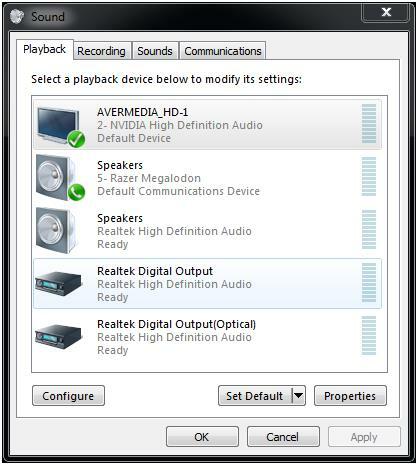 c. If your USB device supports stereo mix, you can try to set your USB device as main, and playback your USB's stereo mix to soundcard. 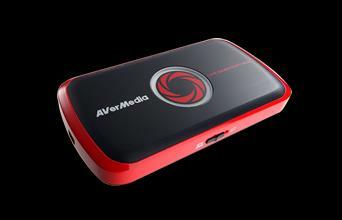 ● Can I record Raspberry Pi 3 (single board computer) with my AVerMedia capture card? 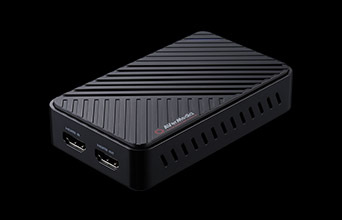 Yes, please connect Raspberry Pi 3 HDMI out via HDMI cable to your AVerMedia capture card’s HDMI input port and set Raspberry Pi HDMI setting to “Mode 34” (1080p30fps). 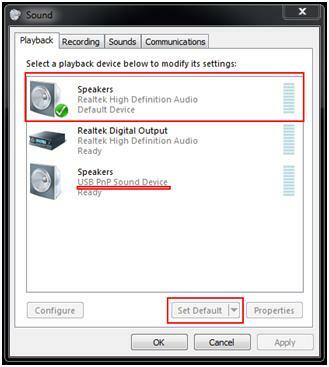 C875 indeed doesn't support recording from external audio source. (Capture live commentary) in PC Free, and we have never advertised it doing so. Currently we are studying the mechanism how to enable this function for our other standalone capture boxes. 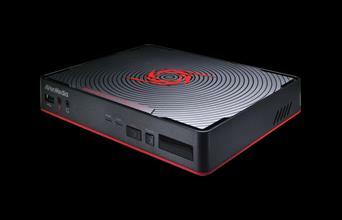 In case of Live Gamer Portable this is product specification and there won't be any further updates. Thank you. ● C875- Computer fails to find a driver. 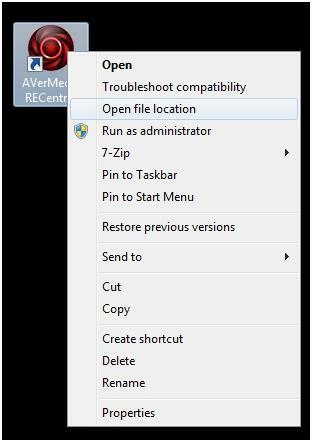 Check the windows OS whether can use correct driver. 2. Make sure your device can detect on Device management. 3. 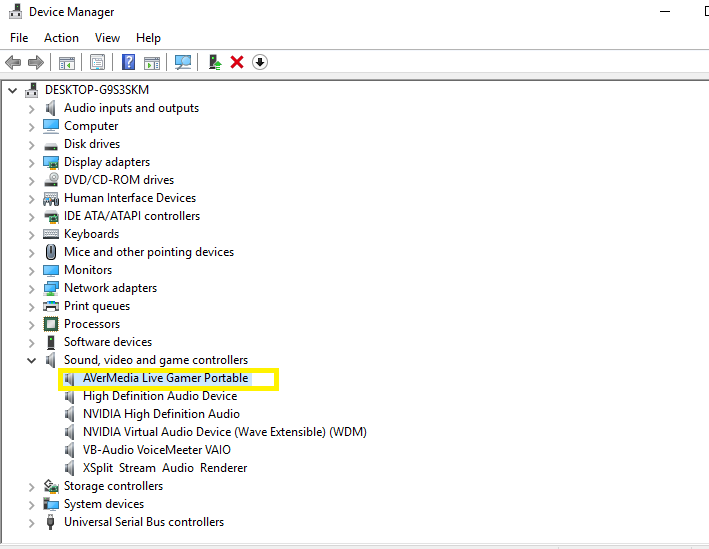 Computer Management >device Manager >sound, video, and game controller.